Here is a stock trading course just for you. About 5 minutes per week is all it will take. Here is a a stock trading course which will teach you the basic skills required to trade stocks successfully. If you are a beginner or intermediate stock trader and are looking to get to the next level this course is for you. Learning to trade the markets can be a daunting task. Many experts make it sound so easy that you may wonder why you cannot master it. Stock trading is exceptionally simple to start, open a brokerage account, deposit money, trade. Our course is designed to help you reduce the next phase of a traders life which generally goes something like this. Win a bit lose a lot and deposit more money. And the cycle continues. If you want to make money out of trading stocks you are going to have to learn how to trade. This trading course will go into some detail regarding the art of trading stocks. This is an educational series and is meant to probe and provide you with guidance so you can go out and explore the world of stock trading with a bit more confidence than you currently have. What type of trader do I want to be? How large of an account am I going to trade? What type of stocks am I going to trade? What time frame am I going to trade? Do I want to use fundamentals or just technical’s? What indicators make sense to me and which ones will I use? Will I use a watch list or a stock screener to search for opportunities? Which stock screener would be best for me? How much will I risk per trade? How much stock should I buy? When am I going to enter a trade? How am I going to get into the stock? When am I going to sell? How will I write a trading plan? Should I sign up for a newsletter? How much can I make trading stocks? Should I start reading books and taking courses? 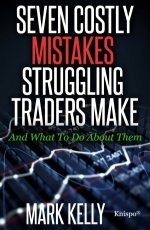 What habits am I going to change to become a better trader? This mini course will last approximately six months and you will receive one email per week in most cases. You can remove yourself from the mailing list at any time by following the instructions at the bottom of each lesson. You should be able to read each lesson in less than five minutes. If you are just starting out, the questions above may scare you and you may be thinking, “What am I getting my self into?” I just wanted to trade some stocks not take this up full time. One of the better things I learned in an Investools seminar is if you treat your trading like a hobby it will pay you like a hobby. Treat it like a business and it will pay you like a business. Hobbies cost money in case you were wondering. If this course seems a bit basic for you, you may want to check out the reviews I have done on more advanced trading courses. I wish you all of the best and hope you enjoy your trading experience.